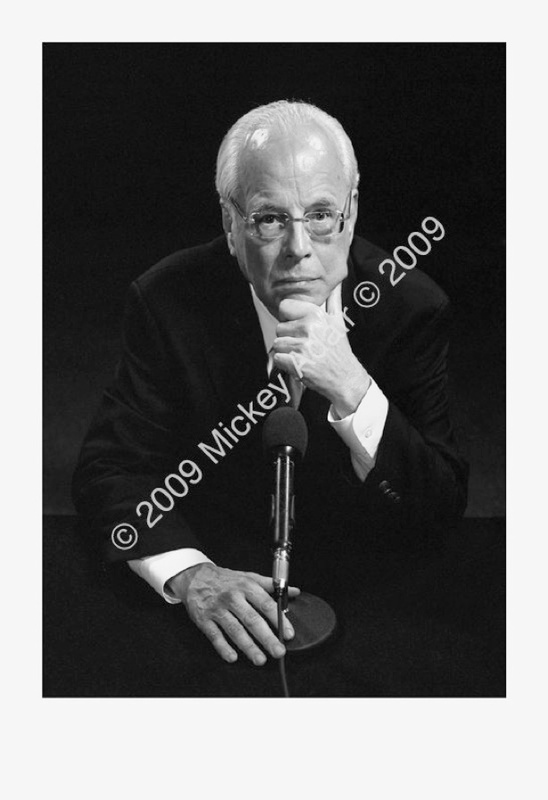 John Dean, former attorney for President Nixon and one of the main Watergate testifiers, was a speaker at the Tiger Bay Club. I rarely use props but him sitting behind a table mic seemed like the right thing to do. I was using the stage lights in the lounge of The Silver Slipper restaurant to help while focusing the camera. When he mentioned how hot they were I looked out from under the dark cloth and saw him sweating. I thought "Perfect!" and took the photo.